Well , I was surfing and came across a OEM manufacturer [ Maxtoch ] , and after looking at there wares decided to buy a XM-L Thrower .. Anyhow , I seized upon the opportunity to buy a OEM flashlight , This one being built to the manufacturers own standards as it will be marketed under there own brand name [ Maxtoch ] .. The light comes in 4 major parts , tailcap [ clicky ] , extension , main battery tube and the head . *Press tail switch for turning light on/off. *Tighten head to enter three functions mode(Max, Min, Strobe);Loosen the head by 1/4 of a circle to enter five functions mode(Max, Mid, Min, Strobe, SOS). *With the light turned off, gently press (no click) the forward tail switch, the brightness level will switch between five (or three) functions or "click" is heard will change the function and turn on. *Remove the tail cap, insert the batteries with the positive ends toward the head of the light, replace the tail cap. Note：Stated brightness and runtime figures are based on tests using 2PCS 18650 Li-ion batteries (approximate 2200mAH) under laboratory conditions. Variances in these figures will occur depending on batteries used and individual usage habits. You may be wondering why on earth I would jam a bit of tape in there ... Well .. You have two mode options , Hi-Med-Strobe , and Hi - Med - Low - Strobe - SOS ... The way the light is set up , when the main battery tube is screwed in it contacts the driver board , locking in the 3 modes , and when you unscrew the battery tube you get 5 modes , but who wants a lose battery tube ? , so the tape isolates the contact ring on the driver , so I can screw in the battery tube tight , and have my 5 modes . Ive only just charged up some batteries , taken some pictures , and had a bit of a play and set up with the light , so lots more info on the way + beams . I will do some current and light box measurements and get back asap ! Its early days , but for a thrower , I like it . Good build quality , and so far no noises or strange things , no tweaking or adjusting , it just worked from the get go . Where and how to buy for the other series? Yes, thank you. But there is no buy now, and it seems that they like to deal with distributors (ie at least 25 samples as a start to the cooperation). There are some nice flashlights inside which i like, *cough* ie Limitop. I could buy 2 if the price is right, but that's about it. 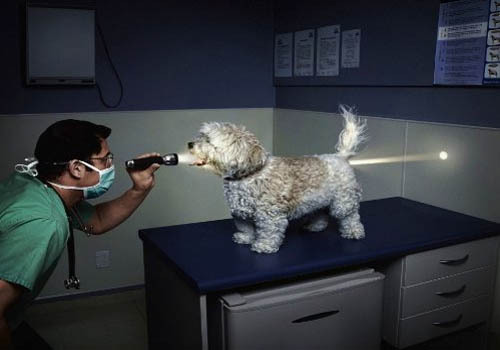 BTW, your flashlight has got PWM? Care to share the price? It went down to 39 bucks i think with discount code, at that either-you-love-it-or-you-hate-it website.....but with the fugly Fandyfire name. They may not be that interested in selling single pieces , check Alibaba , they have online chat ..
From mem it was not bargain priced , + Postage . Simply an opportunity to sample the manufacturers wares , built to there own specs , and do a review .. Check the contact page , send them an email ..
Am I only to notice that this seems to be pretty the same flashlight as SkyRay STLV2 (and its clones)?? Thanks for the great review Old, I'm glad you like it. I also have a FandyFire. It looks and works just as in this review. A good shooter I must say. On par or maybe stronger than my Fenix TK41. Thank you very much for making this nice review old4570. Your reviews are always wort the time to read and study pictures. Very thorough and a nice writeup you have done here. That must also take some time I imagine. It is appreciated. But I was under the impression that the Fandyfire and SkyRay flashlights were made to terrible low standards and I think I recall seeing quite some threads/posts where they either died completely (hence the fryray nickname) or were partially damaged with modes not working or switches breaking and I vaguely seem to recall something about a complaint about the threads on some of them. But if it is the same body as this one, same driver too, and this one is made really nice without flaws.... Well then I might consider getting it because I think I need (I want!) a good XML thrower. But the varying experiences of others on the forum made me skip the SkyRay and Fandyfire brands completely. Nice, looks like a more careful design of the fandyfire stl v2! A look through their products will turn up many familiar looking flashlights, like 501b, 502b, C8 and lots of others. This is my Fandyfire STL-V6, right down to the lanyard in the pic. Remember , manufacturers make stuff to contract and to a price point , and with components that will meet said price point .. But , from this sample , and if there own house brand maintains this level of quality , then we are talking about a very nice light . You may need to pay more , I know I did , but so far [ knock on wood ] its great . Some times I wonder , just how many business names an actual factory works under .. It might be a group of investors or partners , and each operates under there own business name from the same factory . I know that several Chinese companies , have different sources for there products , even sales reps work under there own business name . Gets a little hard to know exactly who you are dealing with , since a lot of companies let anyone who works for them act as sales reps .. I have never read a SR STL-V2 or FF STL-V6 breaking down. The thread is not that bad, just that the tailcap 2 silicone rings are a bit on the big side, just remove one of them and apply more grease and it becomes easier. I believe you read about frying Sky Ray SR3800, now that's a bad bugger. If you want a quality light, this is a similar version. http://www.batteryjunction.com/olight-m3x-triton.html Just got it from a sale on DD for 68 bucks. There is absolutely no PWM in the lower modes, these flashlights has PWM of about 200Hz. But seriously the STL-V6/V2 is not that bad, by budgetlight standards i'd rate it 8/10 in quality. It has one of the best heatsinkining performance around, heat never really drops the lux .... really never slides at all till about the 2 minute mark. It used to be 45 bucks at DX and then it dropped to 38 or 39 bucks at DD during the sale. The anodising quality is like those Trustfire 3T6 hosts, it's admittedly still budget light stuff but it's good stuff. I wish i have a close up photo to show you but i only have this. (look at the head) hehe.... But yes you can use a DBS tube or C8/U80 tube and put it in there. Oh...ok, i so i read that it has low/slow PWM. So it's basically the same. Thank you for putting that confusion straight. I guess I have been reading too many different reviews and opinions and got it all mangled together in my little noggin. 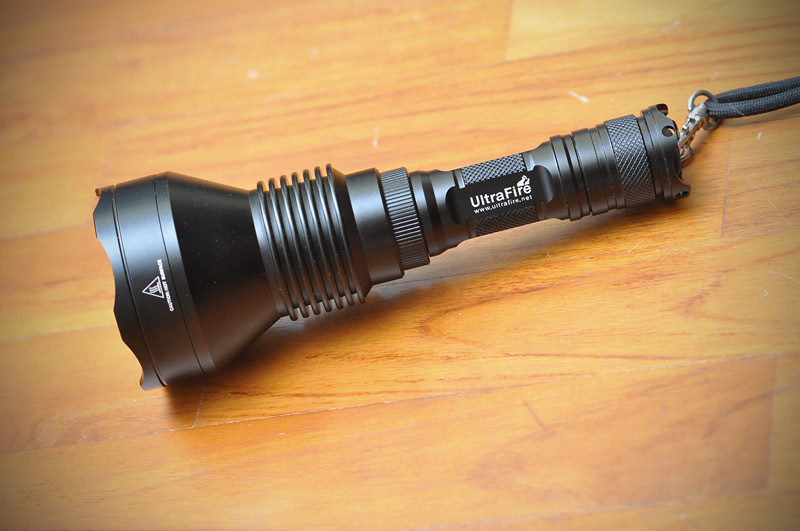 But I see that if I want to run this with a single 18650 cell all I have to do is buy a C8 or U80 flashlight too. How much is the performance drop when you do that? Does it become direct drive or does it just start to fade after a few minutes like so many other lights. BTW to OP: Sorry for this OT chatter. But I just want to buy 1 thrower and I want it to be good and preferably 1*18650. I have both of the copies The SkyRay STL-V2 and the FandyFire STL-V6 and I can confirm they are true throwers. I think they are the best choice for the money. I had a problem when my I got my SkyRay from Manafont the switch was not working so I used the one off the FF, and then I saw a bad solder joint and re-did it and it's fine but I contacted Jim at Manafont and they did nothing. I just want to say that if any one is looking for a thrower get one of these, they throw with my Catapult V3 and my 7G5. Nope, the STL-V2/V6 and most probably this flashlight cannot work with 1 x 18650, i have tried it before with DMM probes to test. It does have a Low Voltage cut with 2 cells. Ehh? Confused again then. No single 18650. Check. But what is this with the C8 tube then? Oh maybe I get it. You run it with two of those small 18350 or something to get the voltage? Haha....yep, just slot in 2 pcs of 18350 or 16340, or even CR123 to operate it. Careful, note that it is doing about 1.3A at the tail, so your cells must be able to do 1.3A. The bestinone.net 18350 IMRs have absolutely no issue. Anybody know or compare this to SR STL-V2 or FF STL-V6? Also their J12/J18 looking one claims 850m? They also have the ebay HID copycat one, Maxtoch HDX1. Theres a few threads comparing SR STL-V2 to FF STL-V6. It seems they’re starting to ship the FF with cheaper parts recently (last reports were ~4-6 months IIRC). I’ve had both and they seemed to perform the same, but the first died within two months. Reports suggest poorer quality parts, but I cannot with certainty confirm.